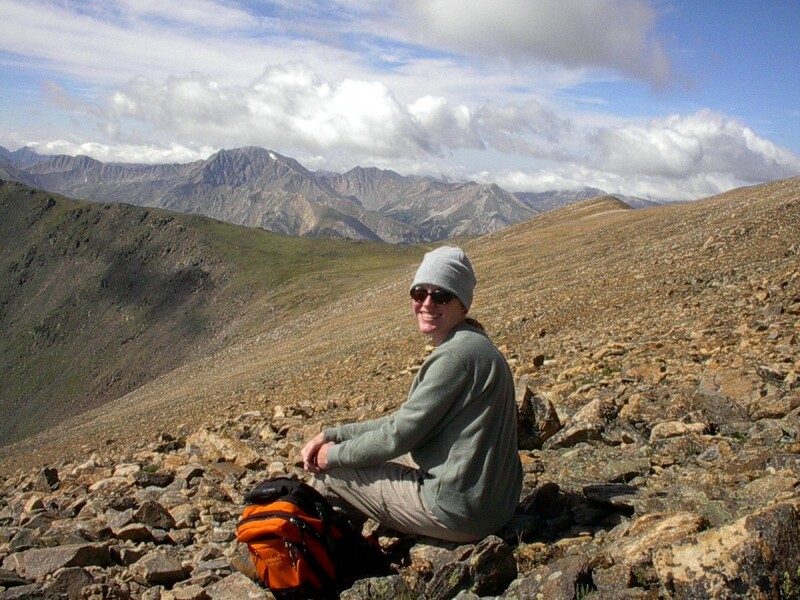 Deborah Neyens is an attorney, educator, and freelance writer who loves to spend her free time in the great outdoors. Climbing a mountain is the most personal of challenges. It’s a test of your physical endurance, a battle against the negative voice in your head, and an adventure into the unknown. As Sir Edmund Hillary once said, “It is not the mountain we conquer but ourselves." Hilary was talking about Mt. Everest, which he and his Sherpa companion became the first to summit in 1953. I may never see the top of Everest in my lifetime, but I have pushed my way up the sides of many mountains. Each has presented its own unique challenge. I've slogged through knee-deep mud and thickets of razor grass to reach El Toro, the highest peak in Puerto Rico’s Luquillo Mountains. I’ve climbed nearly 1,000 feet straight up a sheer granite face to reach the top of Champlain Mountain in Acadia National Park. And I've journeyed above the tree line and into the clouds to the very top of the Rocky Mountains, to the summit of Mt. Elbert. This is the trail report of my Mt. Elbert ascent, along with useful information for planning your own climb. Mt. Elbert, in Central Colorado, is the highest mountain in Colorado and all of the Rockies. At 14,440 feet above sea level, it is second in height only to California’s Mt. Whitney in the contiguous 48 states. Despite its impressive height, Mt. 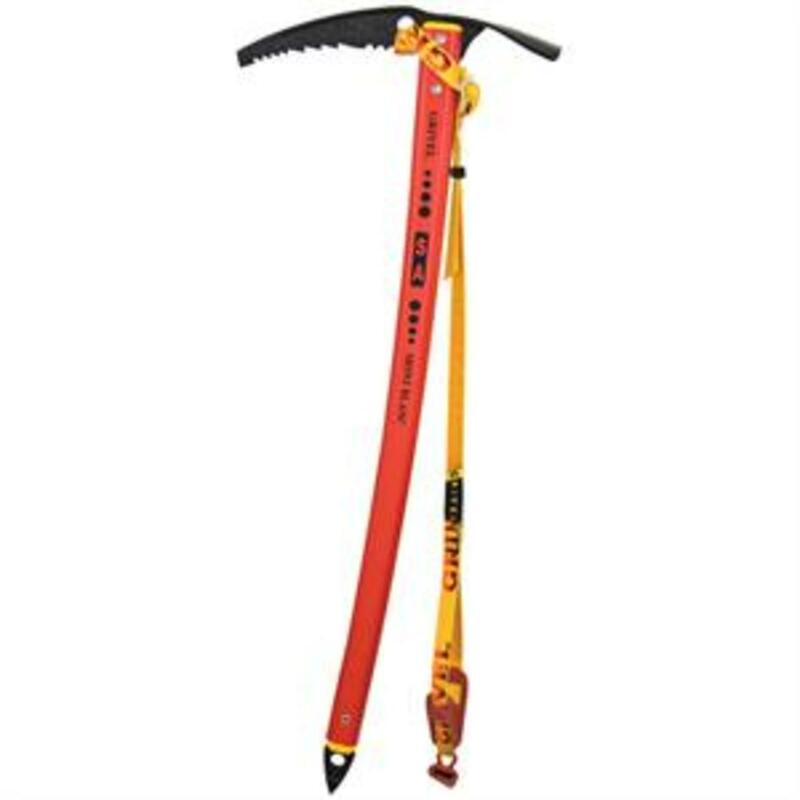 Elbert is a Class 1 climb, meaning it does not require ropes or specialized rock climbing skills. With proper conditioning and advance preparation, almost anyone can climb Mt. Elbert. Mt. 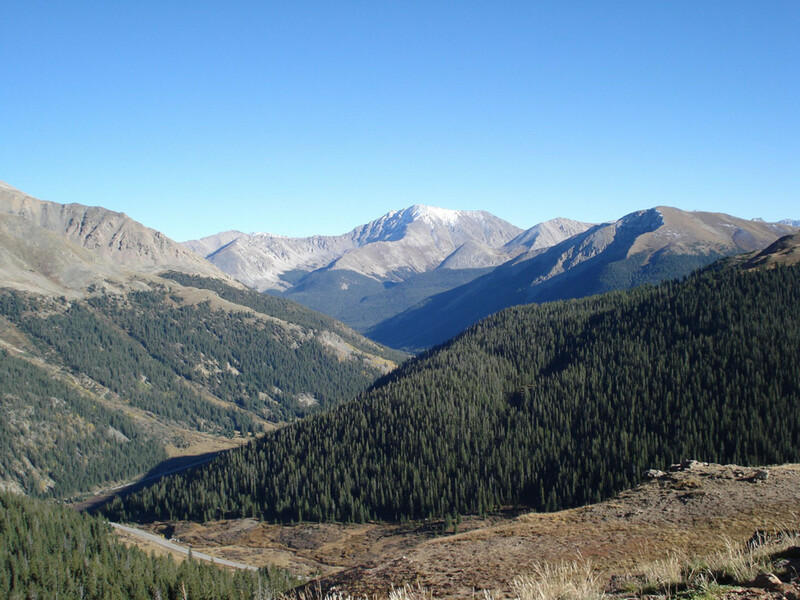 Elbert is located in the Leadville Ranger District of the San Isabel National Forest, approximately 120 miles west of Denver and 16 miles southwest of Leadville. 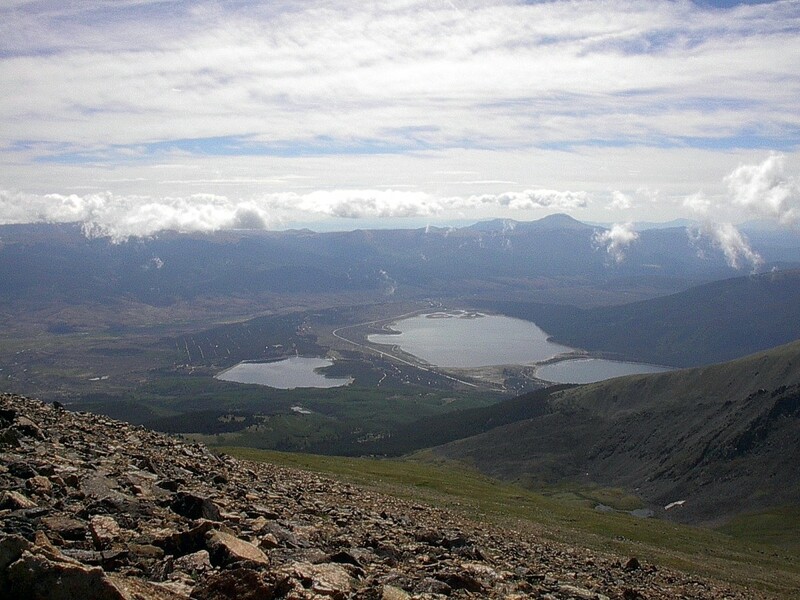 There are five main trails to the summit, with the two most popular being the South Elbert Trail and the North Elbert Trail. The South Elbert Trail, which begins near the Lake View Campground above Twin Lakes, is considered the easiest route. It is 5.6 miles from the trailhead to the summit (11.2 miles round-trip), but with a four-wheel-drive vehicle, hikers can eliminate 1.8 miles each way of a relatively boring hike along a Forest Service road. 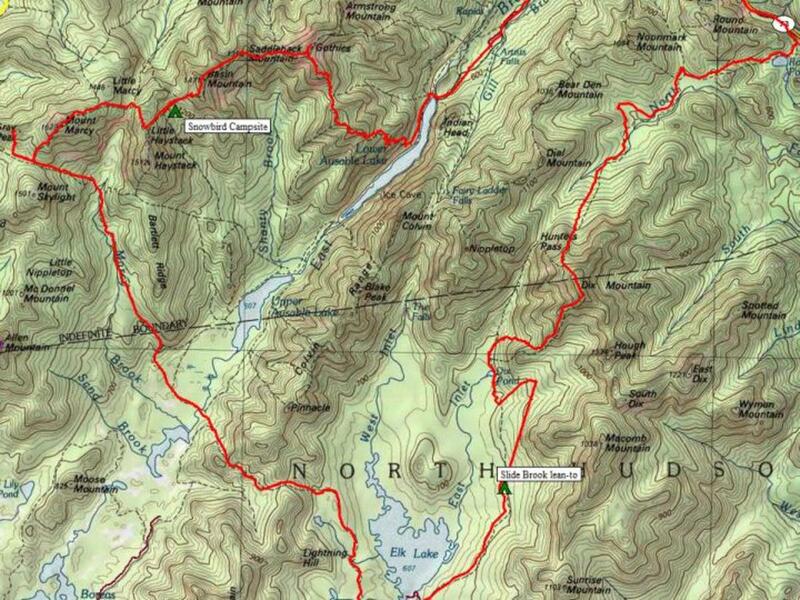 The total elevation gain is 4,900 feet (4,000 feet if starting at the upper trailhead). The trail is the standard winter route to the summit. 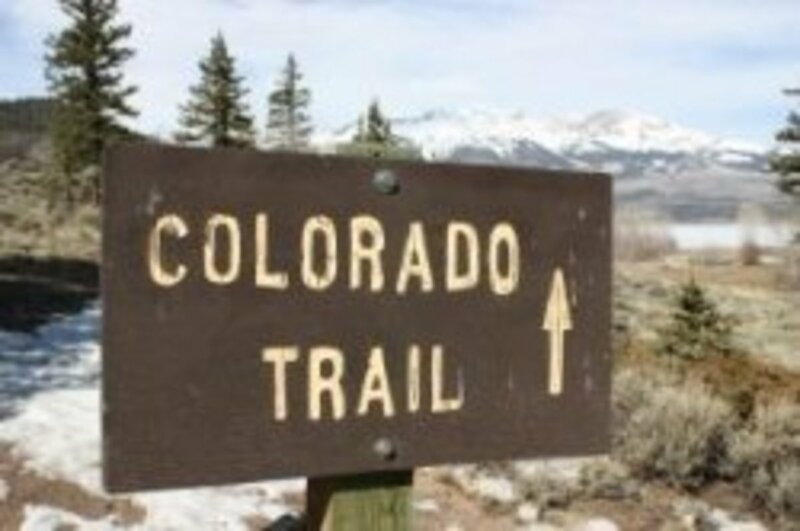 The North Elbert Trail is accessed via the Elbert Creek Campground outside of Leadville. 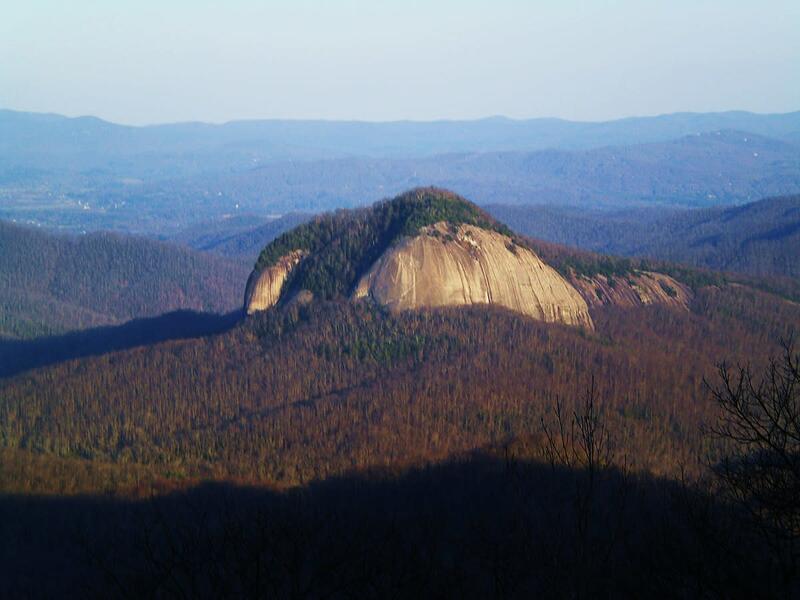 The trail is 4.6 miles to the summit (9.2 miles round-trip), with an elevation gain of 4,500 feet. The shorter distance and steeper incline make for a more strenuous ascent than the South Elbert Trail. Make sure to read the important safety and planning tips below before attempting any climb. The alarm went off well before dawn that late July morning, and we woke to find a steady rain. My only other fourteener attempt had been an unsuccessful climb of Long’s Peak a couple years earlier. That day also started with rain, and the wet, slippery conditions on the rock ledges just below the summit proved too terrifying to continue without a rope. Today, I was determined to make an ascent. The rain continued as we drove 15 miles southwest of Leadville to the Lake View Campground above Twin Lakes. Our four-wheel-drive vehicle allowed us to continue past the lower trailhead and climb nearly two miles up a rough, dirt road to an elevation of 10,440 feet. As we reached the end of the bumpy road, the moon broke through the clouds. Just like that, the rain stopped. It was going to be a good day. We crossed a creek on a footbridge and hiked downhill on the Colorado Trail for about 100 yards to reach the intersection of the South Elbert Trail and the trail register. It was just after 5:00 a.m. when we signed in. According to the register, several other hikers already were in route. After signing in, we climbed a steep section of switchbacks through an aspen forest. The trail was muddy. Although we saw no other people, our headlamps revealed the footprints and trekking pole divets of those who had climbed before us that morning. After gaining about 750 feet of elevation, the sun broke over the Mosquito Range and we were rewarded with spectacular views of the Twin Lakes Valley. The trail leveled out and opened into a small meadow, then a larger meadow. The conifers grew more sparse and scrappier until we climbed out of the trees completely and onto the alpine tundra. We were on the east end of a long ridge that led right up to the summit. The peak loomed ahead, and clouds gathered below it over a canyon. We followed the ridge for what seemed like hours as the daylight grew and a sharp wind cut through us. We came around a rocky ledge and found a sheltered spot to refuel with trail mix, chocolate, and water. From here, the trail wound back and forth up the southeast face of the mountain, climbing over the rocks. We could see other groups of climbers above and below us, all headed to the top. The air was thin, making it difficult to move with any kind of speed. I found the only way to keep pushing myself on was to pick out rock about twenty feet up the trail. Once I made it to that spot, I would stop and take a couple of deep breaths before picking out the next rock and continuing up. We moved slowly and steadily until reaching an elevation of around 12,500 feet. There, we stopped for a rest and decided we would rest after each additional 500 foot gain. At 13,500 feet, we decided to rest every 250 feet. Finally, with the summit in view, the final 200 feet went quickly. We reached the summit just before noon. There was a party-like atmosphere at the top, with four to eight people on the summit at any one time. As each new person reached the peak, there was another round of high-fives and exchange of cameras for photos at the summit marker. But no one stayed for long, After admiring the view and taking a few shots that most certainly would not do it justice, we headed down to take shelter in the rocks for one last rest before beginning the long descent. 1. To train for any high altitude hike, proper conditioning is important. At least 12 weeks before your planned climb, begin an exercise program incorporating both cardio and strength training. Check with your doctor first. 2. If traveling from a lower altitude locale, plan your climb so you have several days to acclimate when you arrive in Colorado. Your body needs time to adjust to the lower oxygen levels at higher elevations. 3. Also plan several conditioning hikes. Spend three to four days on successively longer and higher altitude hikes. 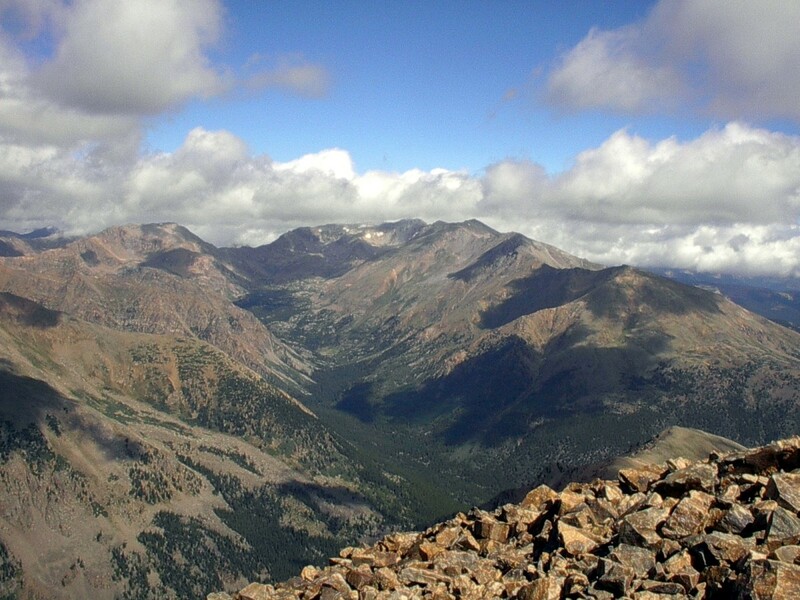 Make sure you can hike to an altitude of 12,000 feet comfortably before attempting a fourteener. 4. If your vacation schedule allows, take a day off before your big climb. Take a scenic drive or take in some of Colorado’s many attractions. Five things to see and do in Colorado. 5. Eat a healthy, well-balanced meal the night before your climb, including protein, complex carbohydrates, and fiber. Avoid greasy foods that may cause stomach distress. Limit alcohol intake and drink lots of water. 6. An early start is the key to climbing a fourteener. Dangerous electrical storms can arise quickly in the afternoon so you will want to allow enough time to reach the summit and begin your descent by no later than 1:00 p.m.
7. In dressing for your climb, prepare for extremes. This means layers. Start with a lightweight, wicking shirt, add a fleece pullover and top it all with a water and wind resistant jacket. Convertible pants are a good option in the summer when the afternoon sun gets warm on the descent. 8. You will need sturdy, comfortable hiking boots or shoes with good tread. Make sure they are broken in before setting out to climb a fourteener. Also wear good quality wicking socks to avoid friction and blisters. 9. Other must-have items for climbing a fourteener include a sun hat and ski cap, sunglasses, gloves or mittens, sun screen, and a rain poncho. 11. 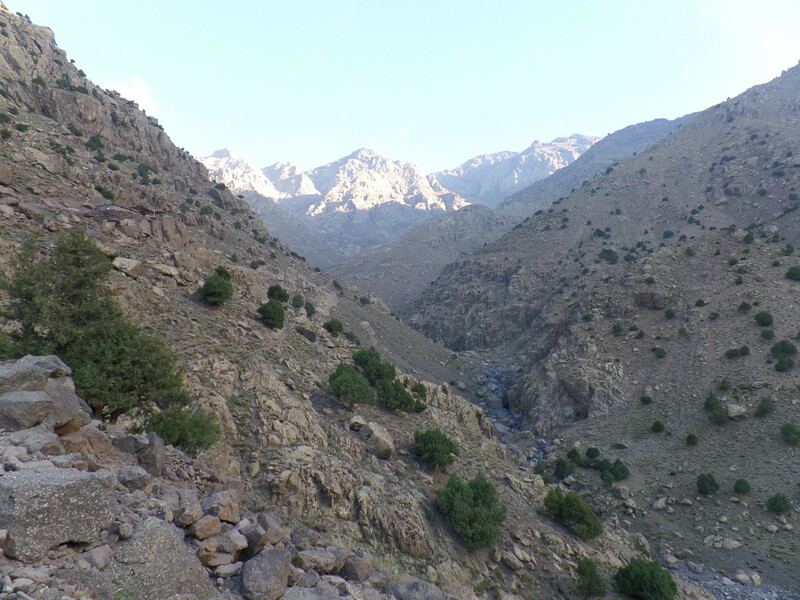 The air is dry at high altitudes, increasing the risk of dehydration. Carry a minimum of two quarts of water. A water filter or purifying pills are helpful, too. No matter how pure a mountain stream may look, you can’t drink it without first boiling it or taking other measures to eliminate giardia, a dangerous parasite common in mountain water. 12. The climb will take several hours to complete so it’s important to carry a supply of food for fueling your body throughout the grueling day. Have several options in case your appetite becomes finicky in the high altitude. Trail mix, grapes or other fresh fruit, energy bars and sandwiches all make good options. 1. Timberline Lake Trail: This trail offers nice views of Turquoise Lake. 2. Native Lake Trail: This trail passes by pretty Native Lake and offers views of the lake from above. 3. West Tennessee Lakes and Homestake Mine: Follow a wide valley to the headwall, where a bowl holds two perfect glacial lakes. 4. Big Willis Gulch: Hike along an old miners road to Willis Lake and an abandoned mine at the back of the canyon. Do I Need a Guide to Climb Mt. Rainier? The Bodies of Everest. The World's Highest Graveyard. Deborah, congrats on Editor's Choice in 2013. This was a great hub about how you were on top of the Rockies with well-detailed descriptions of the climb. Voted up for awesome! Hi Vellur. Yes, the feeling of accomplishment that one gets when reaching the top of the mountain is awesome. I think that is why mountain climbing can be addictive. It must have been great reaching the top but extremely strenuous and tiresome. You must have done a lot of working out and conditioning, lots of hard work to do before climbing mountains. Thank you for the awesome trip through the mountain trail of Mt Elbert. Great hub. I love the Bear Grylls quote. Thanks for sharing! And thank you for the lovely comment. Thanks, Rebecca. And don't count it out. My mother with a heart condition made the climb with us. You never know what you might be capable of! WOW! What scenery! I don't believe I would last. I guess I will have to see such sights from a helicopter...or your great photos! Thanks, DDE. Yes, it is kind of like a dream being up above the clouds like that. On top of the Rockies: Climbing Colorado's Mt. Elbert looks a dream to me so beautiful the scenario is spectacular. Cyndi, it's very doable. Can't wait to hear how it goes for you and the hubby. Where do you ski? We are going to Vail in March. It's been a few years. Can't wait! OMG. I GREW up in Colorado Springs and never did this. Always drove by the Twin Lakes on my way to go skiing. Thanks for reading and commenting, Midget and Mike. Midget, I have to do that volcano trek someday! Amazing landscapes and your pictures are very beautiful. That view makes the trek truly one to work at. I've trekked on the molten volcano lava of Hawaii's volcanoes too, though it was quite a few years back and I cannot remember which island we went to. Probably Maui as well! In time to just watch the sulphur dripping into the Pacific! Thanks for sharing! I've always wanted to do that, Daisy, but haven't made it to Hawaii yet. Even though you didn't climb to the top, it still counts as a great adventure. : ) Thanks for reading and commenting. Wow! I felt as though I were climbing Mt. Ebert with you. What an experience you had! I have been to the summit of Haleakalā, (the East Maui Volcano) on the island of Maui in Hawai'i. It's 10,023' (3,055m). I didn't climb to the summit, however. I took a tour bus to the summit to see the sunrise, and then coasted down on a bicycle, only pedaling a few hundred feet. Thanks, Vinaya. Mt. Elbert is no Everest, for sure, but I still considered it a major accomplishment. I live in Nepal but I have not climbed Mount Everest. Climbing a mountain is a daunting task. Perhaps, Hillary was right when he said we don't conquer mountains but ourselves. Thanks for sharing your experience. Thanks for reading, and pinning, Mike! I'd love to climb another 14er some day. A great trip and wonderful presentation! Looks like a unique experience. Voted and pinned! Hi Nell. I think getting to the top of any mountain is a cool thing, no matter how high it is or how you get there! Thanks for reading, commenting, voting and sharing! Hi Peggy. I have been back and forth on Trail Ridge Road many times and it never fails to inspire awe. I will look for your hub about it. I have many wonderful memories of family vacations in Rocky Mountain National Park! Thank you for the comments, votes, and share! Hi, Torrilynn. I wouldn't say Mt. Elbert was at all scary. The other 14er I attempted to climb, Long's Peak, was very scary, however. There were steep drop-offs and the rocks were so wet that I was afraid I would slip and kill myself. Thanks for commenting and sharing. Never say never, Tillsontitan! But if you want a taste of the high altitude without the grueling climb, Trail Ridge Road (which Peggy mentioned in her comment) makes climbing into the clouds accessible for all. Thanks for reading and commenting. Some people do seem to have trouble with the altitude, teaches. I try to take it easy and stay hydrated, but that first hike always leaves me panting. Thanks for the comment. I have never seen bluer skies than when I was in Colorado. The air is much cleaner too. Although, it took me three days to adjust to the mountain atmosphere. Love your share here and the beautiful scenery. Thanks for the information on climbing and being prepared. Voted up! I've never climbed a mountain and I can safely say I never will, however, I am very impressed with your abilities! This hub was chock full of tips and information for any would be climbers and the pictures are breathtaking. What a fabulous experience and great accomplishment! you've accomplished climbing Mt. Elbert. afraid to. one day, I might actually try. thanks for the read. I am impressed Deborah with your accomplishment of climbing Mt. Elbert. 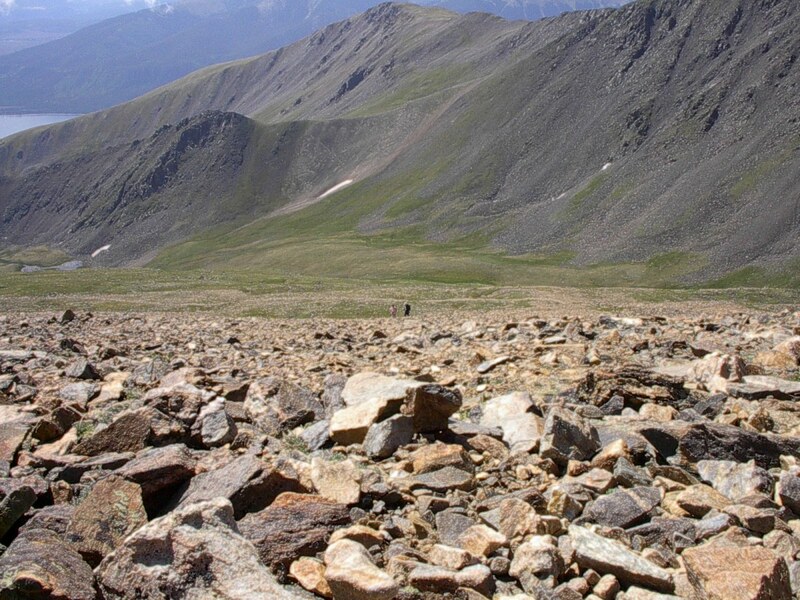 The highest part of Colorado that I have ever personally seen is the alpine tundra at 12,005 feet. The air gets thin at those upper elevations! I wrote about it in my hub titled Colorado Vacation and Rocky Mountain National Park Photography on Trail Ridge Road. My mother stayed down at the Alpine Visitor's Center. She was having a problem breathing at those elevations. Loved seeing your photos. At my age any thought of mountain climbing is past so I will enjoy it vicariously by reading hubs such as this. You go girl!!! UUBI votes and will share. 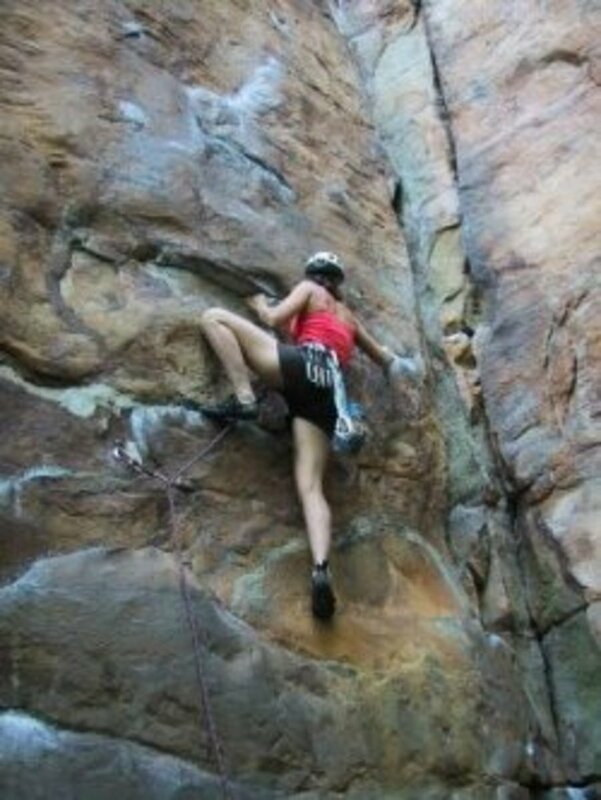 I enjoyed reading about your climb and your tips for climbing are very useful. We have done several climbs here in Peru. It helps that when we did them, we already lived at high altitude in Cusco. Our friends weren't acclimatized, though, so I can attest to the discomfort that comes from a lack of preparation! Hydration is so important, as are high calorie snacks and wearing sunscreen and layers. Voted up across the board and shared. Thanks you for reading and commenting, Pavlo. I'm glad you enjoyed the hub and the photos. TRemendous views! I loved it! Hi Jools. Thanks for reading and commenting. It sounds like the altitude may have gotten the best of you during your trip. Vertigo is a symptom of altitude sickness. I hope you can make it back there some day! Interesting hub Deb. You look like you had fun (albeit with a lot of hard effort). I went to the Rockies in 1992 but was poorly for a few days there with a vertigo type thing so I could not do as much climbing as I would have liked. Your photos are great, made me wish I could go back there. Thanks for reading, Eddy. 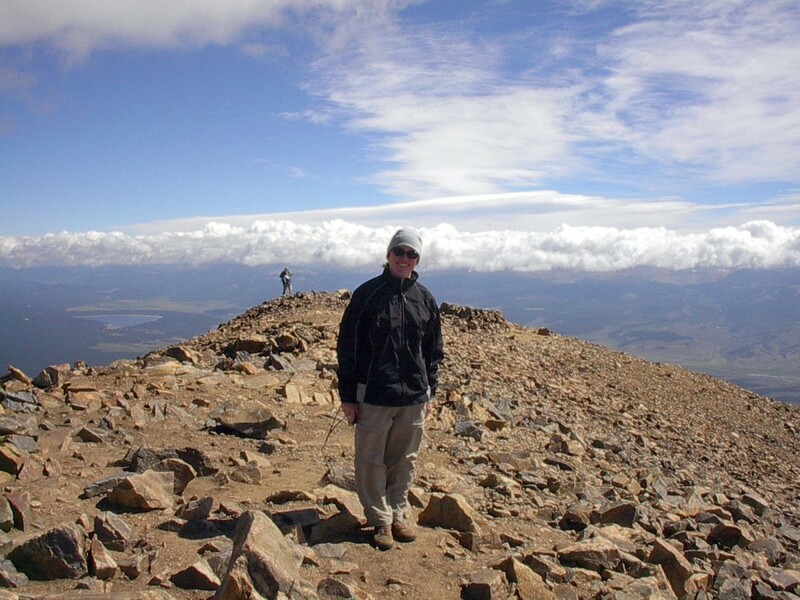 I hope to climb another fourteener someday. A brilliant hub;so interesting and brilliant photos. Great work here and thank you for sharing. Hi Prasetio. Thanks for the comment and vote up. I hope you get a chance to climb Mt. Elbert yourself some day! Wow...I can't wait to climb Mt Elbert with you. What a truly beautiful place you have found. . I'm sure those who visit must feel a serenity and peace. I also enjoy the pictures here. Thanks for writing and share with us. Voted up! Thanks for reading and commenting, Ms. Dora, Bill, and Chef. Respect of the mountain is important as you note, Chef, especially at high altitudes. And preparation is key. Some great images and useful information. Climbing high needs good preparation as you point out - a mountain needs respect! It's amazing how many people get caught out on what seem simple trails and climbs. Well done! As I'm sure you know, I've climbed Mt. 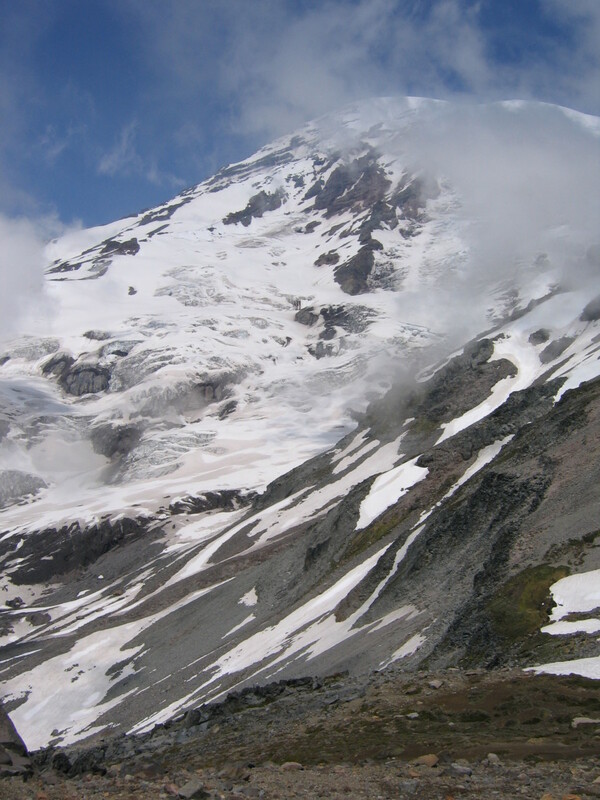 Rainier twice, and it was an incredible challenge and accomplishment. Well done, Deb! For those of us who have done it, we know the effort and preparation this took. Bravo my friend. The preparation is not my favorite part, but the experience is worth it. I like the first paragraph and the pictures are awesome. Thanks for sharing such inspiration.